Okay. Enough of my musings and droning on about learning Spanish and grocery shopping in Mexico. We promised to periodically show you different lifestyles so below are a few clips of one of the more upscale properties along the Pacific Coast. While not cheap by absolute standards, ocean view properties cost a fraction of what the equivalent would cost at home. Actually, no comparison exists. This type of lifestyle would be untouchable for all but the very wealthiest in America - not only are they oceanfront, many boast private beaches, full gyms, private bars in the buildings and full-time restaurants in high season. If renting and open to staying in the shoulder months, you can find superb deals if you know who to ask. Part of your reconnaissance mission during your longer-term stays should be to find out which buildings have the nicer apartments. When you get back home and start planning for the season ahead, you call realtors requesting rentals in those specific buildings. If you are spending three months or so in a low-season and three months in high for example, I suggest you tell them what you are willing to pay a month as a starting point in the negociation, perhaps offering a bit more for those high season months. You should get an excellent deal. Don't back down. If they aren't willing to offer an excellent deal, walk away. I have. Some people have more money than sense, but others recognize they'd rather have a single, reliable tenant for six months than have an apartment that is empty for the first three and abused for the second three months by hordes of vacationers and their children. Here is an example of how deceiving the outside can be. In this video, you enter through a modest facade and parking lot facing the road. As you will see however, the inside and beach side are spectacular. YouTube won't let me embed the video, so you click the video...and the song under it if you like a little music! No matter what your budget, when it comes to stretching your dollars in Mexico, as a rule of thumb you can probably jump up a level or two in housing in Mexico from what you can afford in the States. A thousand dollars a month doesn't get you much in most American cities. A thousand a month in Mexico can get you something spectacular. My second year in Mexico I rented a two bedroom, nicely furnished oceanfront apartment ($900 a month) while my one bedroom unfurnished apartment in an upscale neighborhood of Denver ran ($1,600). The oceanfront condo building in Mexico boasted a grandiose marble foyer, 24 hour security, an attractive lap pool and a modest gym. This year I rented a two-level condo with a spectacular view on the twelfth floor of a resort in the Golden Zone for $850 a month, except for December, which ran $1,100. The rent included weekly maid service along with all the normal concierge services hotels provide like internet support, laundry service and a restauarant downstairs. With a little flexibility on your schedule, you can live like you're on vacation for six or months a year for half the price of what you pay for rent at home. If renting or owning in coastal areas, it's as important as it is boring to understand how you are billed for electricity. If you are living in Mexico six months a year, you will need to sublet or rent your place out at home. Here's how. Next up: You don't have to give up vegging out. In fact, you don't have to ever miss a show. Most recent: Prepare to learn Spanish or any challenging material with the tips from learning experts. 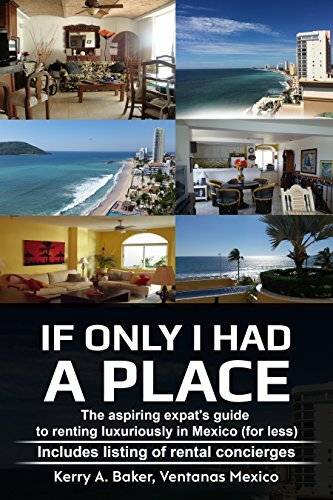 I am a partner with Ventanas Mexico which provides insight and resources for those considering expat life in Mexico, including a new guide to renting well, "If Only I Had a Place." 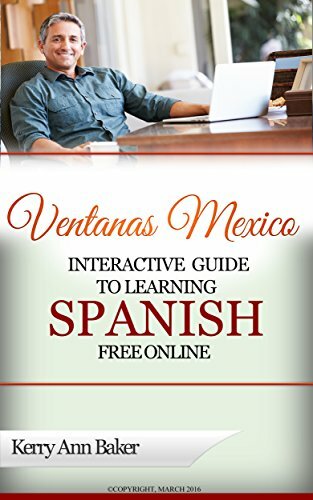 I am also author of the "Interactive Guide to Learning Spanish Free Online," a curation of the best Spanish language tools on the web. Find the best free tools, linked and organized by level and skill set, that will get you started learning Spanish right away on your own. For your expat life and your brain.